Homicide Squad detectives report the details of an auto accident, in which a pedestrian was struck and killed, that occurred in Hempstead on Thursday, 11/03/16 at 7:01 A.M.
Jose Nelson Cruz, 29, of Amityville, is charged with Leaving the Scene of an Accident with Death, Unlicensed Operator and will be arraigned on Friday, 11/04/16 in First District Court, Hempstead. Hempstead, NY - November 3, 2016 - Homicide Squad detectives report the details of an auto accident, in which a pedestrian was struck and killed, that occurred in Hempstead on Thursday, 11/03/16 at 7:01 A.M. According to detectives, a pedestrian was running from west to east across Washington St./Burr Ave., when he was struck by a 2011 Jeep SUV travelling southbound on Washington St. The pedestrian, while on the pavement in the southbound lanes, was then struck again by a 1991 Dodge Sprint, also traveling southbound. The operator of the Jeep remained at the scene. The operator of the Dodge, Jose Nelson Cruz, 29, of Amityville, left the scene and made a right turn onto Lent Ave., where he struck a tree. The defendant continued on and made a left turn onto Morel St., where he struck a LIRR right-of-way secure fencing, ultimately disabling his vehicle. A witness notified Hempstead police, who then responded and placed the defendant under arrest. The deceased is identified as Miguel A. Vasquez Guillen, 60. Cruz is being charged with Leaving the Scene of an Accident with Death, Unlicensed Operator and will be arraigned on Friday, 11/04/16 in First District Court, Hempstead. 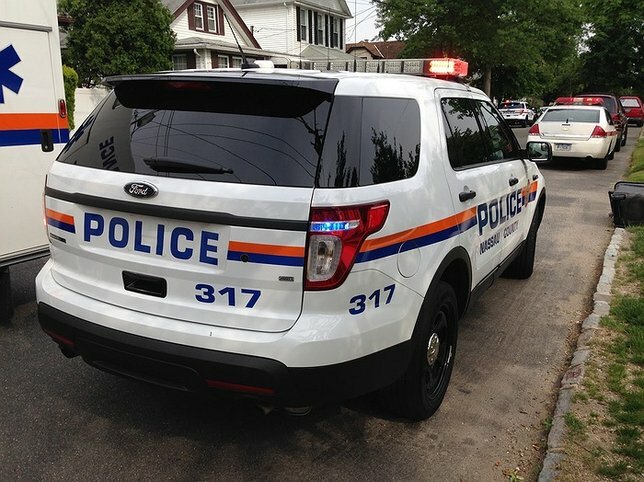 Subject: LongIsland.com - Your Name sent you Article details of "60-Year-Old Runner Killed After Being Struck By Vehicle and Then Run Over By Another Vehicle That Fled the Scene, Arrest Made"